Things that used to be completely independent of a cars electrical system, such as the transmission, brakes, and odometer are now all wired together and part of the on-board computer system. So what you might think is a mechanical problem may actually be an electrical problem. That could be something as simple as a blown fuse or loose connection or as complicated as a fault in any of a hundred or more components. If your car won’t start or the charging system warning light comes on, that’s almost certainly an electrical problem of some sort. Without proper trouble shooting you’ll likely pay for more auto electrical repairs than are necessary. Diagnosis can sometimes be as simple and straightforward as a visual inspection after thinking backwards from symptoms. But more often than not you’ll need a great deal of expertise… or spend a huge amount of time. That’s especially true with intermittent symptoms that come and go. Electrical test instruments aren’t all that expensive but you need to learn how to use them and that means understanding how electronic circuits work and the relationship between volts, amps, and ohms. For a certified technician that’s basic training. The main components of a vehicle’s primary electrical system are the battery, starter, and alternator. The battery supplies the initial power to run the starter motor when you turn the ignition switch to crank the engine. That takes a lot of wattage so a low battery won’t cut it. When the engine isn’t running the battery provides all the electrical power, so running the radio, fans, or headlights can drain it and leave you unable to start your vehicle. Once the engine is running the alternator (generator) provides electricity to recharge the battery and run everything else. If you turn the key in the ignition switch and hear just a click, or nothing at all, the odds are that you have a drained battery. It’s also possible that the starter motor or it’s solenoid (or relay) have failed. A quick test at our shop will determine if an auto electrical problem is the battery, alternator, or something else. From there we can either do a quick replacement or continue the diagnosis. The starter motor draws a huge amount of current, 100 amps or more. If that were at house-wiring voltage it would be well over 10,000 watts! So even a small amount of electrical resistance can be a big problem for the primary electrical system, and loose or corroded terminals are a common culprit in battery, starting, and charging system problems. Tip: If the charging system warning light on the dashboard comes on at night get ready for a tow as the alternator isn’t providing enough electricity. If it comes on during the day there’s a good chance you’ll need a jump start the next time you need to drive, so get prepared for that. The ignition system provides the right high-voltage (25,000 volts or higher!) at precisely the right time to fire each spark plug and ignite the gasoline-air mixture in each cylinder. That used to be a simple ignition coil and distributor cap, but now that’s part of advanced calculations and control by the power train computer and fuel injection system. Loose or worn spark plug wires can still be an issue. If your engine is idling roughly or has lost performance that’s worth a quick check, and our advanced diagnostic gear can electronically test for that. Actually, your vehicle probably has several computers — such as the engine controller, transmission, ABS braking, and more. We’re ready for reading out and interpreting their codes as well as diagnosing and repairing their own sensors and wiring. Then there’s everything else. Like headlights, interior lights, turn signals, dashboard lights and displays, heating and air conditioning fans, the radio, power windows, and so on. Every make and model is different, so it really helps to have the details that are made available to dealerships and independent shops alike. 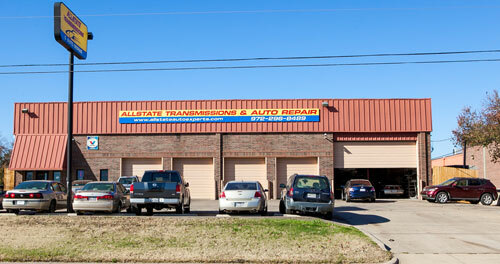 We’ve been DFW’s family owned dealership alternative since 1979. That’s over 35 years business success by treating our customers right. Our ASE certified technicians are ready for any auto electrical repairs you might have, whether you own a foreign or domestic vehicle.